Many people believe the pico de gallo — a mix of tomatoes, onions, pepper, and cilantro — served in many Mexican restaurants is the only type of salsa there is. Salsa is, quite simply, Spanish for sauce, and these sauces can be as varied as sauces in any other cuisine. For fish tacos, nothing beats a fruit-based salsa. 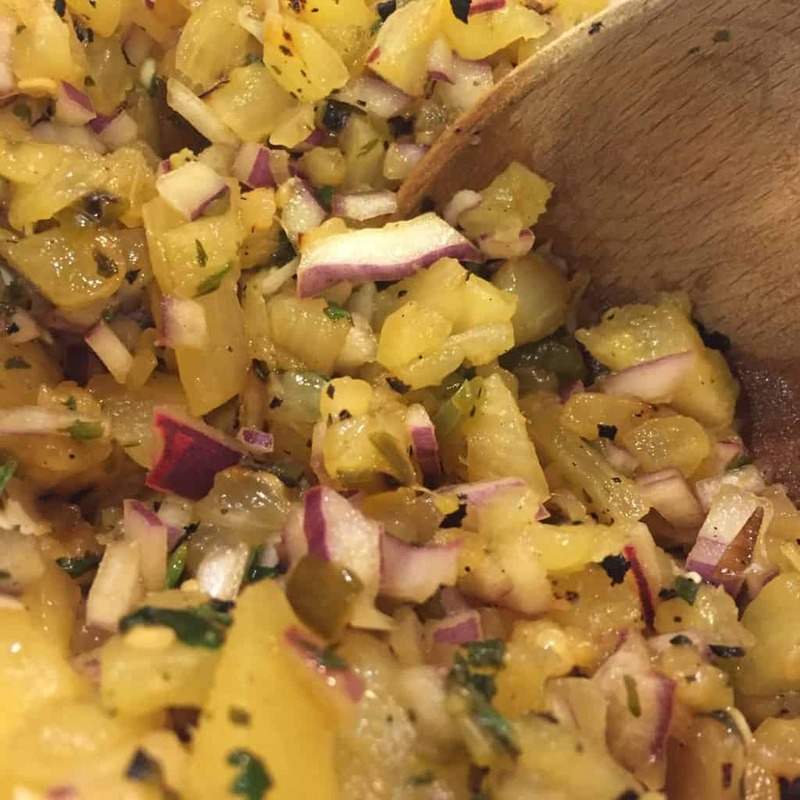 I love the flavor of this spicy grilled pineapple salsa. It comes together quickly, and can be used for other dishes as well! There is something absolutely refreshing about chilled soba noodles with a few crisp, cool vegetable piled high, served with a tangy dipping sauce called ponzu. 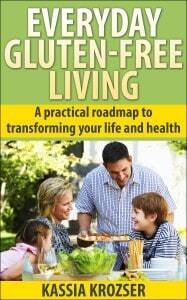 Gluten-free ponzu can be purchased, no doubt about it. But it’s a bit pricy. As with many sauces, I find the effort involved with making my own to be so minimal that it’s worth the time. Plus, this recipe uses many of the ingredients I keep on hand for other dishes, so no special purchases are required. For general cooking like this, I purchase restaurant-sized containers of gluten-free soy sauce from Amazon. I also purchase fancier GF soy sauces for those dishes where the flavor of the soy sauce needs to shine — in those instances, a little goes a long way, making it easier to justify a higher price point. Bonito flakes can be bought online or at Asian grocery stores (some major chain stores and Whole Foods also stock them). I love my avocados any which way. When they’re just ripe, nothing is better than sliced or diced avocado with just a smidge of salt. When they’re starting to soften, they’re perfect for guacamole because they still have a bit of body. And when they’re overly soft? This amazing sauce. It takes just minutes, and is a great way to utilize avocados that aren’t quite firm enough for any other use. You can adjust the seasonings to suit your personal taste. I’ve love this sauce with fish tacos, in a cole slaw, and with crab cakes. It also makes a fun salad dressing. Gochujang is a fermented, spicy bean paste that traditionally accompanies Korean dishes. The fermenting traditionally happens over time, yielding a deep, earthy flavor that makes you crave more. My recipe, as you might guess, is not super-traditional. It is gluten free, though. So many commercial gochujang products out there have gluten added in the form of wheat or barley. Since finding gluten-free versions of this dish can be challenging, I’ve worked out my own version based on recipes I’ve found online. If I do say so myself, it is delicious. I’m going to warn you up front: if you make these, make a lot. More than you need for whatever recipe you’re making. Trust me on this. You will find yourself “tasting” just one, then another. And another. Your husband will grab a few, just make sure they do taste all right. 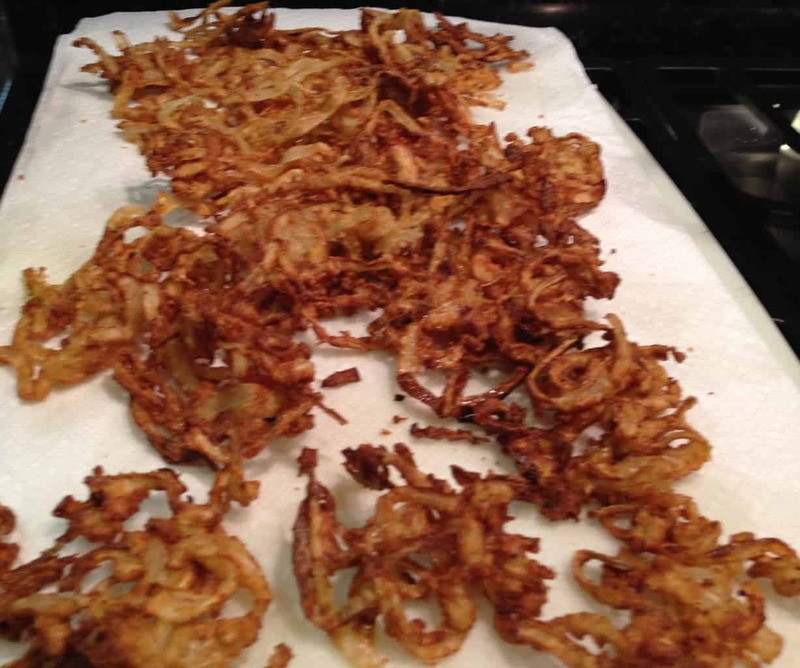 Anyone who walks by the pile of fried onions will indulge in a taste test. Before you know it, you will have to lay down the law: no more tasting until you’re sure you have enough for the recipe. After that, it’s open season for crispy fried onions. No point in having leftovers, right? This gluten-free version of stuff you traditionally buy in a can during the holidays is so addictive, you’ll discover uses beyond green bean casserole just because you can’t stop eating them! I love spicy peanut sauce. It’s my go-to for spring rolls (and I make a lot of spring rolls), chicken satay, regular chicken, and even rice noodles. Mix the sauce with hot noodles, add some shredded chicken, and some torn basil…voila! lunch. Or dinner. The recipe below is just a suggestion — you can mix up the ingredients as you need. Don’t have lime juice? 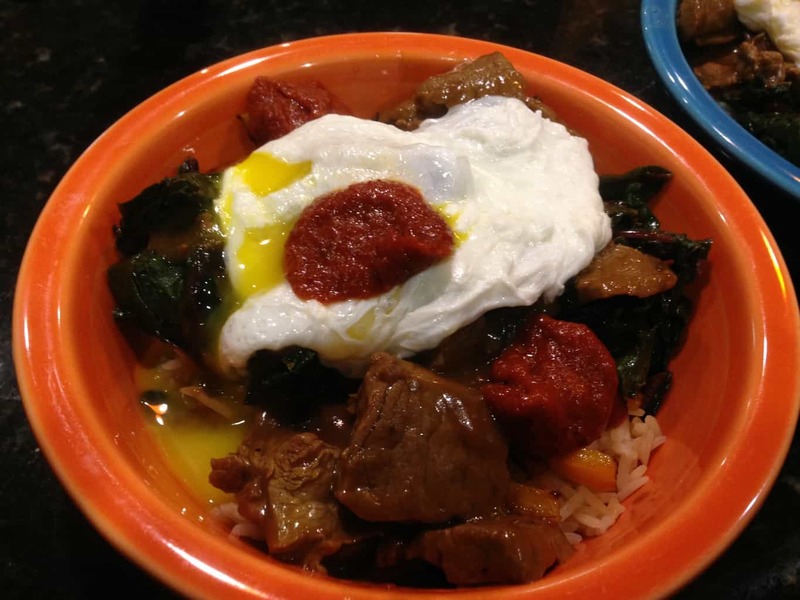 Substitute the mellower rice vinegar. Want to dial back on the heat? Omit the red pepper flakes. I’ve seen recipes that use coconut milk to temper the heat. It’s all up to you. Basil is easy to grow, and I love the fragrance. It’s also the key ingredients in one of my favorite pasta toppings: pesto. As you can see from the recipe below, you can quickly throw together pesto using a few ingredients. In addition to making a quick vegetarian meal with pesto and pasta, I love to use pesto in other ways. One favorite is as a topping for grilled salmon. Add a bit lemon juice or zest to your pesto and use a few spoonfuls on each serving of salmon. 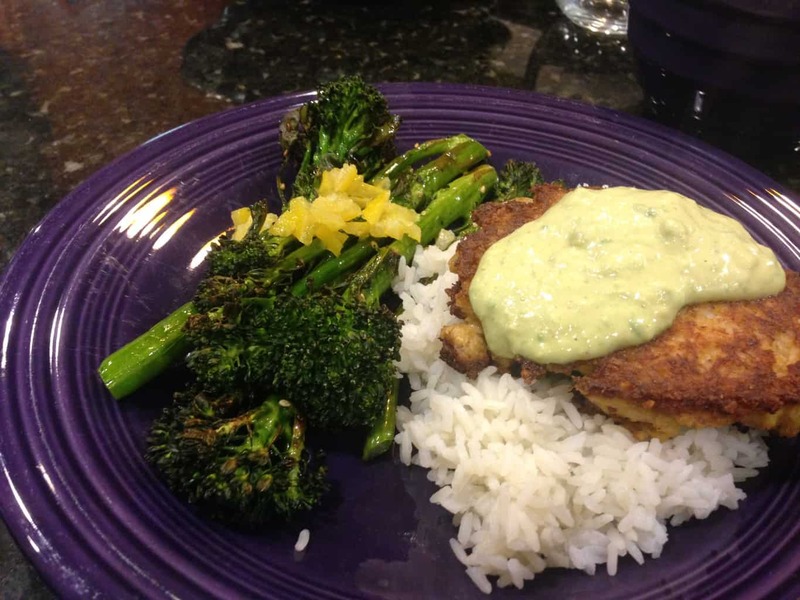 Another fun way to use pesto is mixed with steamed rice. It’s a nice break from ordinary, plain rice, and takes just moments to prepare. 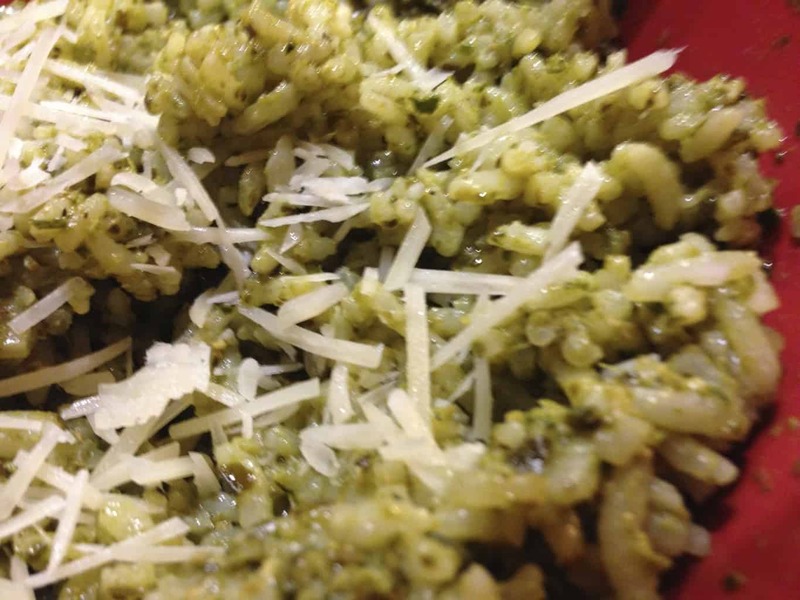 Mix pesto to taste into just-cooked rice and serve. Top with a bit of grated Parmesan for additional flavor. Pesto is also open to new ingredients. You can use artichokes, kale, spinach, or other greens. Swap out the pine nuts for walnuts. Some red pepper flakes can add a bit heat if that’s what you’re looking for.